Dental health is an integral part of your overall health. In fact, studies show that poor oral health has a direct link to poor general health. This is why it is so important that you visit a dentist regularly. 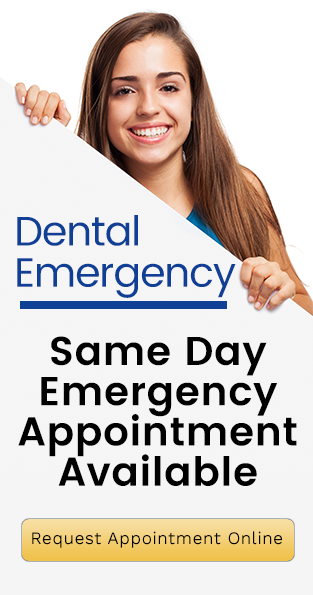 If you are currently without a dentist, you could be busy, new to the Forster area, or anxious about dental treatment. But phobia, a busy schedule, or current lack of a dentist should not hold you back from dental treatment. You need a good dentist – one with professional skills and an attitude that encourages you to visit. The first important point is that there is not just “one” best dentist. There are quite a few outstanding dentists and an unfortunate few dentists who don’t quite get it done. The important thing is to choose a dentist that works for you. Is the office easy to reach? Do you have special needs that a dentist should be able to fill? Do they have cutting edge technology? Do they offer clear information about treatment fees and payment options? Do they keep up to date on new techniques and modern dental practices? What is the dentist’s educational background and credentials? Take a moment and make a list of other questions that are important to you. Choosing a dentist is like choosing a friend – it is important that you are a good fit, and feel comfortable with each other. Ask people you know and trust for recommendations. This can be the simplest and most effective approach. Ask friends, family, even your doctor or pharmacist, for their advice. If you are moving to a new area, approach your current dentist for a recommendation. Use review sites like Google or Yelp. These are great sites to find out about other patients’ experiences, both good and bad. You can also use Google to determine if the location of a dentist is convenient. Take a look at the website and blog. Once you have a list dentists who you feel might fit your bill, make “virtual visits.” A dentist’s website should have a bio, credentials, and list of policies: for example, office hours, emergency coverage, and what savings plans or dental insurances they handle. If you are not comfortable on the Internet, consider doing your first ‘visit’ by phone. Consider Convenience. Be certain the location is convenient for you. If it’s inconvenient to get to your dentist, it becomes more likely you won’t go. Services. Do they offer any special treatment you need? Practices offer different services and have different specialties. Make sure you have a good match. Check the dentist’s accreditation, specialties, certifications, and training to be sure they are skilled in the services you need. Visit. Most dentists are happy to let you visit before making the decision to become a patient. A visit gives you a chance to meet with the entire team, see the way they work, and decide if it is right for you. Is the office neat and orderly? Are all surfaces and equipment in the treatment room clean? Are the waiting area and bathrooms clean? Is the dental staff friendly and able to answer your questions? Are the dentist and staff wearing gloves and safety or protective gear during patient treatment? If something feels slightly wrong with any part of a dental practice, consult another reputable dentist in the area. A dentist is your partner in dental and overall health, and it is important that you find one you can work with! And we’re confident that in the end you will choose Forster Dental Centre!